New 3D BowTies by Hot Bows® for dogs that need FABULOUS accessories. Available in 6 size options for everyone. Also totally cute and perfect for kids to use as headbands. Each BowTies is filled with quilt batting so they stand up and stand out! Attached with headband elastic which is not intended to fit comfortably without being tight. Available in 3 sizes with a coordinating headband elastic to just slip over your pets head. Small is approx 4.5” wide bow with an 8” or 10” elastic. 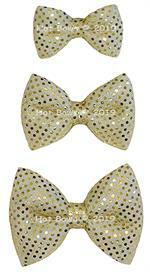 Medium is approx 5.5” wide bow with a 12” or 14” elastic. Large is approx 6.5” wide bow with a 16” or 18” elastic. 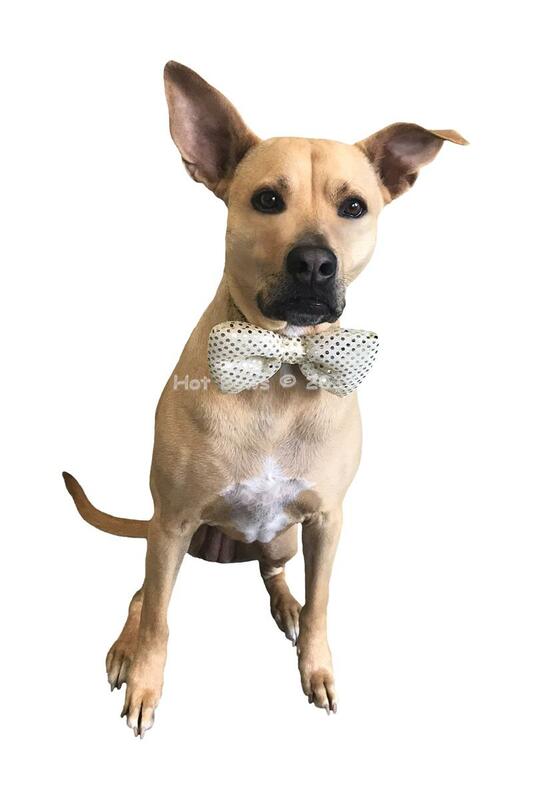 Do not use as collar or attach a leash or leave on overnight. These are purely fashion accessories. All Handmade in Long Beach, CA.